AWC Sign & Light provides all aspects for your lighting needs including photmetrics, engineering, footer permits and all electrical permits. We will also assist in choosing the right poles and fixtures to complement your facility. 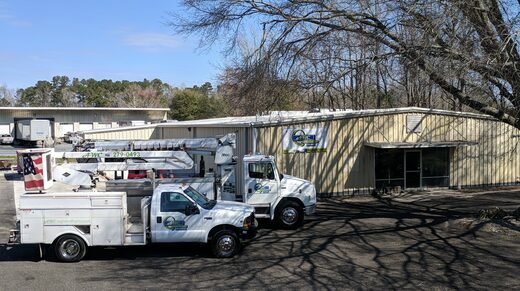 We aren't here just for the sale, but also the service you deserve on your new or existing lights. One of the most overlooked aspects of a comprehensive facility maintenance program is the proper inspection of sign and light poles. These key components of your facility are subject to the elements, internal and external corrosion, weld failures and other items that if left undetected can cause a catastrophic failure. The end result?... A sign pole or light pole and lights on the ground, extensive property damage and potential injuries. Utilizing the latest in visual inspection, non-destructive examination and engineering and load analysis, AWC will work diligently to detect any potential problems before a catastrophic failure occurs. AWC will provide you with thorough, concise reporting of our assessment of the structural integrity of your lighting poles and systems so that you can be confident in the condition of these costly assets.